The tragic events that occurred in Japan on March 11, 2011 led to the most serious nuclear accident in the last 25 years and raised the question of trust in nuclear power all over the world. On April 4 of the current year analysts of the Swiss bank UBS evaluated the significance of the so-called “Fukushima disaster”: “At Fukushima, four reactors have been out of control for weeks, casting doubt on whether even an advanced economy can master nuclear safety”. Swiss experts believe that “this accident seriously damaged confidence in nuclear power”. The reaction of the world community was unambiguously negative: several countries, particularly in Europe, suggested giving up nuclear industry for good, others decided to review their nuclear power plants construction plans and some even started shutting down old nuclear reactors. So how much of an influence did Fukushima have on nuclear politics of world powers? And what is the future of nuclear power engineering? To answer these questions it is necessary to consider two explicit theories. For one thing it is the nuclear industry’s difficult situation around the world. According to “The World Nuclear Industry Status Report 2010-2011” it is possible to draw a conclusion that interest in nuclear construction started to die out even before the events at Fukushima. The attention was focused on the problem of use of renewable energy sources. In USA, for instance, the share of new renewable energy facilities in 2004 was only 2%, but in 2009 it reached 55%. Thus during mentioned period no new nuclear power plant was put into service. In 2010 wind-powered generators, bio-power plants and solar batteries produced 381 GW of power worldwide and surpassed world’s capacity of nuclear power plants before the accident in Fukushima (375 GW). The total investment in renewable energy technology made in 2010 amounted to US $243 billion, 151 billion of which were private investments. Thus there were no such investments in the nuclear sector. As of April 1, 2011 there were 437 operating nuclear power reactors spread across the planet, that is 7 plants less than in 2002. And according to the International Atomic Energy Agency ( IAEA) 64 reactors in 14 countries are currently under construction. In 1979, that is considered to be the peak year of nuclear construction, for comparison, under construction there were 233 reactors. In 2008 for the first time in the history of nuclear industry no power generating units were laid. In 2009 only 2 units were being built, while in 2010 – 5 and in 2011 – another 2. Thus in this period 11 reactors were stopped permanently worldwide. The World Nuclear Association, the authoritative assembly of international nuclear experts, also notes gradual position loss of nuclear power. According to statistics, as of April 1, 2011 there were functioning 143 nuclear reactors in EU, that is much less than during the period of the historical maximum in 1989 when the number of power generating units reached 177. It is registered that there is the steady tendency to decrease the amount of electricity produced by nuclear reactors. For instance, in 2010 the reduction made 1.8%. In 2010 16 of 30 countries that use nuclear power plants kept their level of energy development, 9 lowered it and only 5 countries slightly raised it. The average age of a nuclear plant is about 26 years. Some reactors are already approaching their forties. 130 nuclear units are operating for about 22 years, but the forecast of a number of experts on the possibility of these plants to double their service life sound extremely unconvincing after Fukushima disaster that shattered the confidence of the world community in the existing criteria of reactors’ reliability. An abrupt revision of the terms of safe service of civil reactors can become one of possible effects caused by the Japanese tragedy. Germany has hurried decision to suspend all the reactors that were built more than 30 years ago, that was taken practically at once after the events in Japan, is a graphic example of it. Thereafter arises the conclusion that soon the number of reactors taken out of service will significantly exceed the number of the ones put into operation. This tendency is aggravated by continuous budget increase of existing large nuclear projects. The examples of it may be the construction of the Busher atomic power station that was continuously rising in price, the same goes for the current construction of the Olkiluoto nuclear power plant in Finland. This project of AREVA, a world-leading company in nuclear energy, in 4 years had been raised in price by 90% and its final cost equaled €5.7 billion. There also is another problem of nuclear construction that is the deficit of qualified staff. And the reason for it is not the reduction in schools and departments that train specialists in this field, but entrants’ lack of interest in nuclear power. Experts conclude that this problem is typical for all industrially developed countries. On the labour market finance specialists are more in demand than nuclear physicists, and that completely reflects the level of tentative salaries for young specialists. Meanwhile the growing need for cheep energy both in industrialized countries and in developing ones regardless of the situation in Fukushima can be defined as the second tendency in the field. In the IAEA report “World Energy Outlook” it was predicted that by 2035 the growth of world energy consumption would increase by 75%. And industrialized countries can afford to make big investments in renewable energy projects to balance growing demands of the industrial sector and gradually take out of service nuclear capacities in the process. This system wasn’t affected even by the tragedy at Fukushima nuclear power plant. It should be also noted that after Fukushima the majority of European voters think critically about nuclear power, so any initiative of EU in the nuclear sphere becomes low-perspective and the European authorities are forced to search other sources of the electric power. As stated above, Germany in the long term plans is to refuse use of nuclear power plants for good. The deputy minister of Environment, Nature Conservation, Natural Resources and Nuclear Safety of Germany Jürgen Bekker declared: “A decision has been taken to shut down eight plants before the end of this year, and the remaining ten will be shut closed by the end of the decade”. On June 30 during the special session with 85.5% of the votes the German Bundestag confirmed the decision on the refusal of atomic engineering and approved a number of bills aimed at accelerating transition to use renewable sources. The Neckarwestheim-2, the last nuclear power plant in the country, is to be closed by the end of 2022. But it must be admitted that most of the European countries refrained from such radical measures and limited only to political debates and statements on carrying out the stress tests on their nuclear power facilities. Take France for example. The Prime Minister of this country François Fillon declared the necessity of inspecting 58 French operating reactors. The French parliament held a discussion on the country’s future in the nuclear sphere but real steps to reduce its share in the power sector did not follow. The position of France is well reflected by the statement of the president of the country Nicolas Sarkozy: “France has made the choice of nuclear energy, which is key to its energy independence. Lessons from Fukushima accident will be drawn but I remain to support the development of peaceful atom”. It is significant that this position didn’t change even after the recent accident at the plant in Marcoule which deals with reducing nuclear waste. For Italy Fukushima gave a chance to put one-year moratorium on plans to revive nuclear engineering. However even after that Italian company Enel considers its chances of development of peaceful atom in the country to be very high. Meanwhile there are countries which attitude towards peaceful atom practically did not change; they are Russia, USA and the United Kingdom. These states affirmed their plans to build nuclear power plants under “close control over safety standards and taking into account Japanese experience”. For developing countries that have no serious financial or technological possibilities the atomic engineering is the unique reliable solution to their power problems. It is possible to assume that the growth of orders in nuclear industry after Fukushima will fall on emerging markets. According to IAEA more than 60 countries of the world declare their interest in peaceful atom. The agency expects that by 2030 about 20 countries will for the first time get access to their own nuclear capacities. Unlike renewable energy sources or fossil energy carriers, the prices for the nuclear energy are always fixed. Another advantage of nuclear power plants is technological simplicity of construction of infrastructural communication between the supplier and the consumer, that reduces atomic power costs. There are also other examples of indefatigable interest of developing countries in nuclear power after Fukushima. First of all, it is China. On the territory of the country about 11 reactors are functioning and 10 more are to be constructed within a decade.Tian Jiashu, the director of the Nuclear Safety Center of the Ministry of Environmental Protection of China, made the following statement: “The safety of China’s nuclear power facilities is guaranteed and China will not abandon its nuclear power plant of building new power generating units and using old ones for groundless fears”. The same point of view expresses Dave Dai, an analyst at Daiwa Securities Capital Markets Co.: “The accident at Fukushima power plant will unequivocally trigger increased public concerns over building atomic plants, and China will become more cautious while developing nuclear power plants but is unlikely to alter its long-term nuclear development plans.” India also continues to adhere to its policy of peaceful atom development. Within the next few years this country plans to spend about $150 billion to increase the number of nuclear power plants from 20 to 40. The chairman of the Indian Atomic Energy Commission declares: “About 40% of our population is still without access to electricity, that is why we have no other choice but to build nuclear facilities.” The executive director of the Nuclear Power Corp. Sudhinder Thakur doesn’t believe that events in Fukushima had some impact on India: “The accident at Japanese nuclear power plant was quite serious and we are in touch with international organizations, but there is no need for panic or for stopping our nuclear infrastructure development”. For Brazil the development of nuclear power is also vital considering industrial production growth rate and high birth rate. That is why the first reaction to the accident was rather discreet: the minister of Mines and Energy of Brazil Edison Lobao declared that he didn’t see any reasons to give up plans to construct 10 new power generating units. Thus arises the conclusion that developed countries gradually lose their interest in peaceful atom that on the other hand becomes the pledge of ensuring economic growth of developing countries. 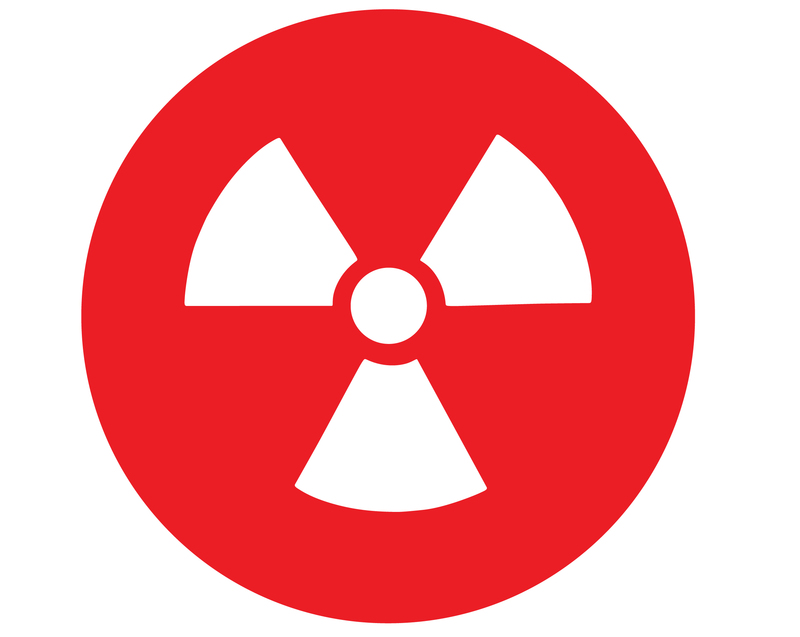 “The Fukushima effect” makes its negative impact on the situation in nuclear industry, but it is by no means decisive. In the near-term perspective, the modern political elite will definitely have to consider public pressure and compromise: check closely operating nuclear power plants and those that are under construction, carry out discussions in parliaments and ministries, slow down rates of nuclear construction. However in the long-term perspective developing countries will continue stable policy of constructing new nuclear facilities, and developed countries will continue reducing nuclear power units and increasing use of renewable energy sources. The current situation reminds of the tragedy that occurred on April 26, 1986 in Chernobyl. In 10 years later the shock caused by the accident faded, the public discussion calmed down, and operation and construction of nuclear power plants proceeded with new strength. Baklanov Anton Aleksandrovich, younger scientific associate of the Institute of Oriental Studies of the Russian Academy of Sciences.